Exactly a year after he first appeared as a guest on The Culture Guy Podcast, Andy Molinsky is back. 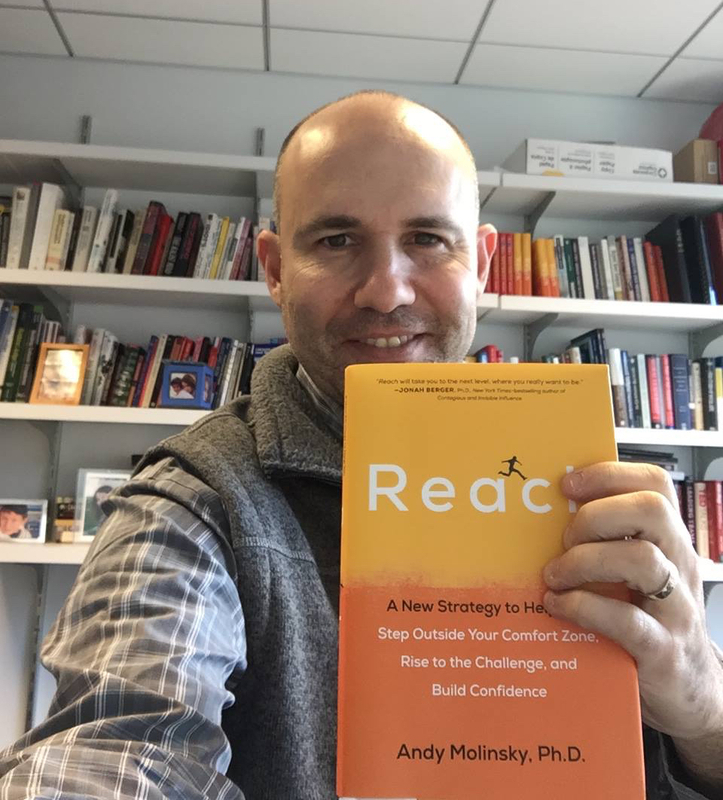 In this first episode of 2017 Andy talks about his latest book, Reach: A New Strategy to help You Step Outside Your Comfort Zone. Often, what sets successful people apart is their willingness to do the things others fear. And many of us have the false notion that successful people like to do these things, The truth is that successful people have simply found their own way to do them. They have found a method to get out of their own way and leave the proverbial comfort zone to stretch themselves. This doesn’t only apply to people with material success. It is especially true for all of us working towards success across cultures. In Reach Andy delivers stories and anecdotes from across a range of professions: from managers and executives to entrepreneurs, doctors, lawyers, rabbis, priests, baristas, stay at home moms, and even goat farmers. Though the stories and professions are different, the themes of building confidence are strikingly similar. The book’s release date is January 24, 2017. Those of you who don’t want to wait to get a copy of it can take advantage of a pre-sale offer. It comes with several benefits: like two free e-books, free access to master class sessions on Global Dexterity and Reach, a chance to win a free one-on-one training session and more. You can connect with Andy via LinkedIn, Twitter, or Facebook. Also check out his blog where you will find a lot of his work on crossing cultures. In fact, we would be honored if you could help us spread the word about The Culture Guy Podcast. Tell your networks and show people this page. That way we can get a feel for which cross-cultural topics you are most passionate about.